Sara Diana Gomez's local domestic violence story went viral when she was reported missing earlier this year. On Dec. 7, 2017, Gomez was granted a restraining order against her former partner of five years, Bryan Penner. Gomez's plea for protection followed threats from Penner on Facebook (messages suggesting pistol whipping, stalking and posts sharing photos of a private nature), several unwelcome workplace visits and other documented violent acts throughout the relationship. In May, a hiker found Gomez's body 20 miles east of Bend, wrapped in a tarp. Although the cause of death is still under investigation, Deschutes County District Attorney John Hummel believes Penner killed Gomez. On the scene when Gomez's body was recovered, Central Oregon Daily Reporter Anyssa Bohanan explains, "I can only think of a couple of times since becoming a reporter where I had trouble remaining detached while in 'work mode.' That day was certainly one of them... I very coincidentally worked with one of her best friends. It was tough... in my reporting job I am literally supposed to treat stories as though I am a detached stranger. "Though I've never covered a partner violence case before, I'd be lying if I said Sara's story didn't affect me. I've known people personally who have attempted or even succeeded in getting a restraining order against their significant others and have seen how difficult it was for them to feel safe again." According to Dara Pearson, the counseling center coordinator at Saving Grace, "Filing restraining orders are an option, but they are often not the safest choice. What research and experience tells us in the field of domestic violence is that oftentimes, protective orders have the opposite impact. Domestic violence is about power and control, about one person trying to control another person through the use of coercive, manipulating and abusive behavior. A restraining order can be perceived as a loss of control by a perpetrator, and their reaction can escalate to violence." Saving Grace has offices in Bend, Redmond, La Pine, Madras and Prineville. 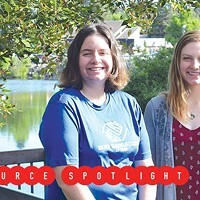 As the sole provider of emergency and prevention services for domestic and sexual violence in the region since 1977, nonprofit Saving Grace serves an average of 10,000 individuals each year. Advocates say Central Oregon may be particularly susceptible to a systemic culture of domestic violence. "Rural areas are greatly impacted because of many factors, including generational poverty and historical trauma, as well as a lack of resources and sustainable system support," explains Pearson. For Jane, a Central Oregon domestic abuse survivor whose name has been changed for privacy, support was difficult to find when she fled a violent intimate partner relationship nearly a decade ago. Services and community systems can fall very short, and outsiders rarely have a grasp on the complexity and nature of intimate partner violence, explains Jane. "It was hard to watch Sara's story unfold in the news because I was able to connect with that situation so acutely. It's such a tragedy and such a private thing. "People are willing to make comments and judgments and they don't realize the impacts of those comments. People will dig into the woman's life, think there is something insufficient about her, how she went wrong, how it was her fault. Sara didn't want to be dead right now. It's so much bigger and complex than people can comprehend. And the narratives are diverse." Although women's recovery tends to be the focus in intimate partner violence discussions, the National Domestic Violence Hotline shows one in four women and one in seven men in the United States are survivors. Domestic violence survivors face a public informed by myth. "One of the most common myths is that victims can just leave if they want," notes Pearson. "They can just walk out... What we know is leaving can be the most dangerous time, and post-separation violence can go on for years, in many forms, including physical, psychological, financial and spiritual abuse. This is why communities need to rally around survivors and make sure they have long-standing support and safety from the community in which they live." In ongoing litigation over custody of children born with her abusive partner, Jane faces continued post-separation violence. She also feels, "Domestic violence is secretive. Survivors don't want to be defined by it, so we don't talk about it or we get a scarlet letter." Volunteering with Saving Grace is an important part of Jane's healing. "When you hear survivor stories, it's crucial to be supportive and accepting. Allow them to be OK with it where they are at. It's OK for the survivor to love the abuser and grieve the loss. For the survivor, she is shedding a light on a complicated situation. When she unwraps that, there is a massive amount of guilt and other emotions. Pressuring someone to leave a situation immediately or cease contact can be detrimental. Telling someone it's going to be OK can also be misleading. Just be there for the survivor and take it moment to moment." From the Gomez case, reporter Bohanan concluded, "It made me fear for anyone I may know who could be going through a similar experience to Sara. What was stopping one of my own friends from becoming a victim? What if the next story I had to cover was the disappearance of someone I knew as a result of intimate partner violence?" Reports referred to Gomez as a "beautiful soul, a track runner, a fisher woman, an accomplished outdoors person, a true Oregon girl" and "a strong, smart, and beloved member of our community." Ironically, seven days before Gomez disappeared, she shared a link on her Facebook page, searching for two missing teen girls. To advocate for survivors, Saving Grace provides a 24-hour hotline, emergency shelter, individual crisis counseling for adults and children, protective order assistance, Mary's Place supervised parent/child visit & safe exchange, individual and group counseling services, legal advocacy, and intervention-focused programs. For more information call 541-382-9227 or see saving-grace.org. Domestic violence, as defined by the National Coalition Against Domestic Violence, is the willful intimidation, physical assault, battery, sexual assault, and/or other abusive behavior as part of a systematic pattern of power and control perpetrated by one intimate partner against another. It includes physical violence, sexual violence, threats, and emotional/psychological abuse.